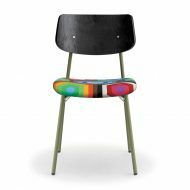 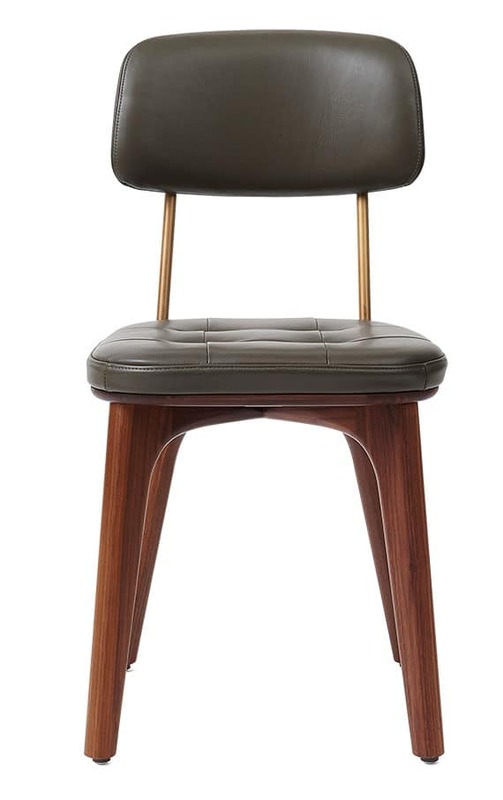 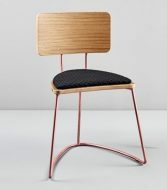 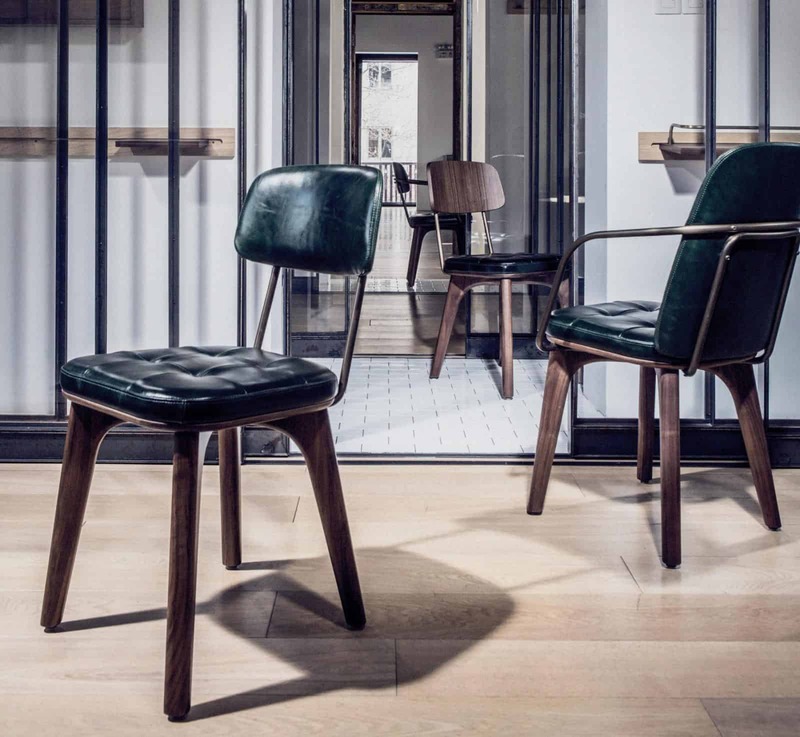 The Utility Side Chair is made of Metal in Brass finish and Wood. 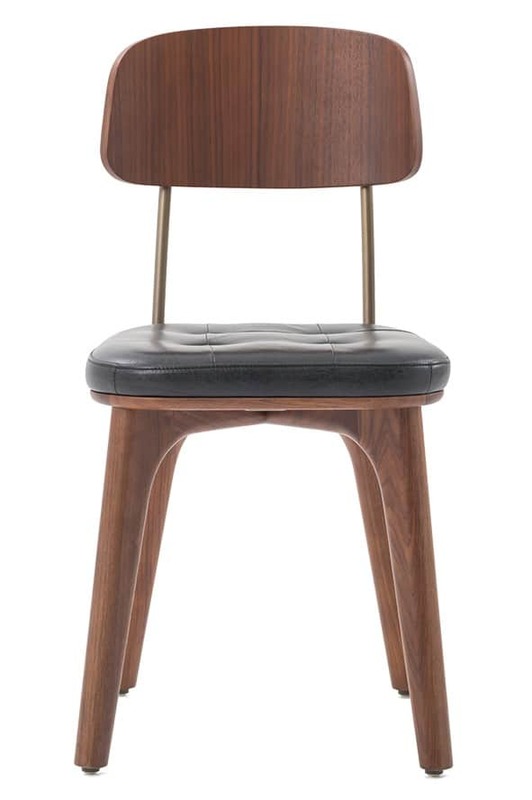 Buttoned seat available to be upholstered in any Fabric, Faux Leather or Leather. 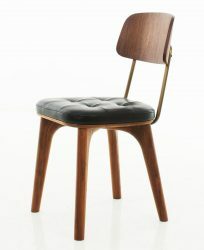 Legs and plywood back available in various wood finishes. Back upholstery optional but extra.